Bring your family to Phang Nga Elephant Park to discover what makes the Asian elephant so special. Learn about daily routine of the mahout (elephant handler) as you watch a demonstration of an elephant health check. 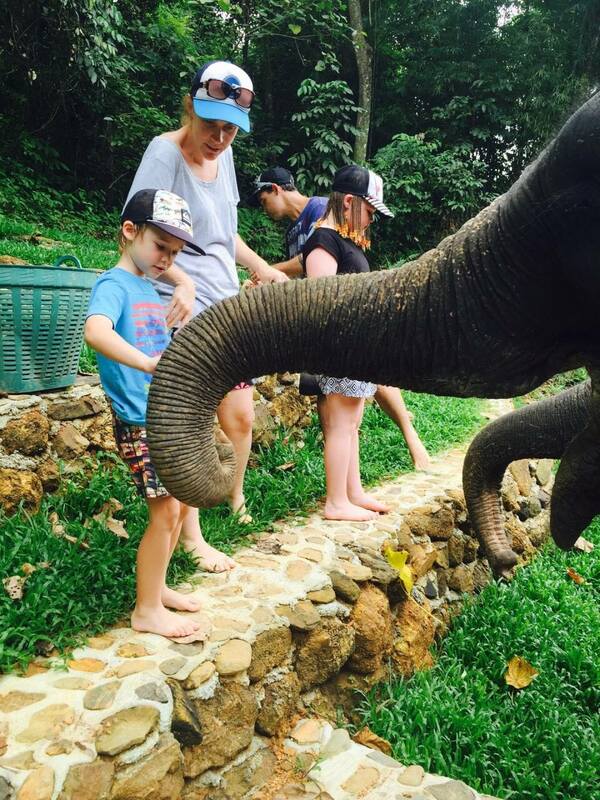 Your children will learn how to respect and admire the elephants while they interact, watch, and learn. 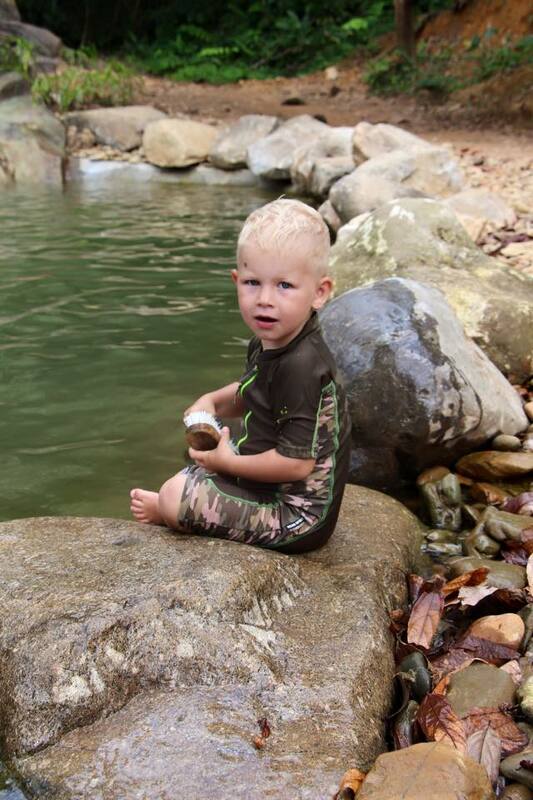 Under the very close supervision of our capable mahouts and guides, your family will get to feed our gentle giants with bananas and can have a lot of fun bathing with them in our rock pool. 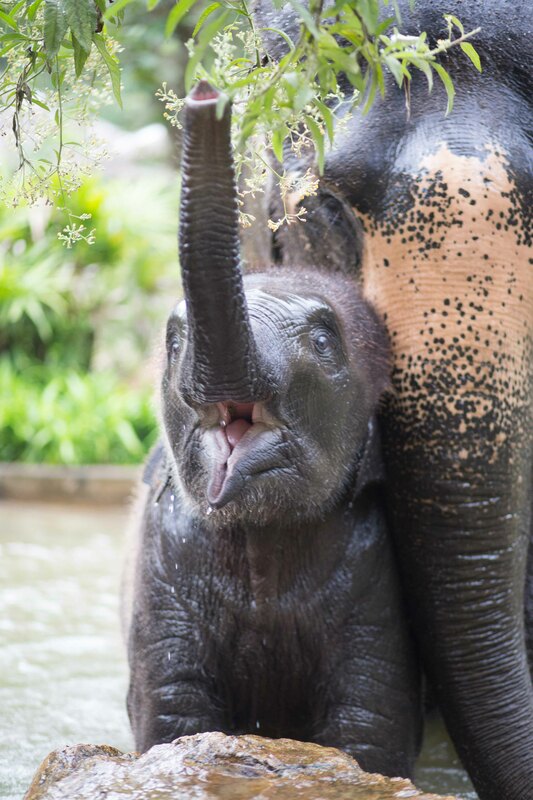 Your family experience ends by meeting our playful baby elephant. The program starts in the late morning, arriving at the park around 11 am. 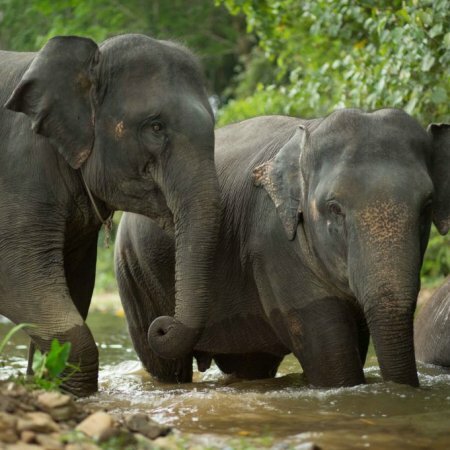 In total, you will spend about 4 hours at Phang Nga Elephant Park (scroll down for full itinerary). Please note: Price includes children 6 years of age or below. For children older than 6, we recommend our Half Day Elephant Care Programme. If you have a different sized group, or require a customised, tailored experience, please contact us. 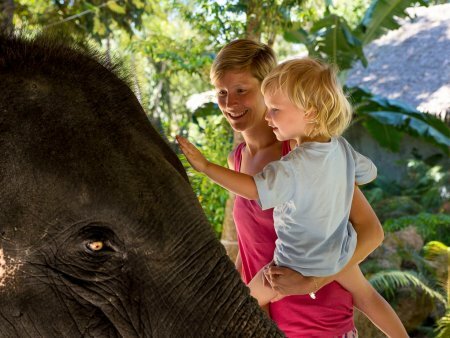 On arrival at Phang Nga Elephant Park, your family will meet their guide and receive our refreshing signature welcome drink. 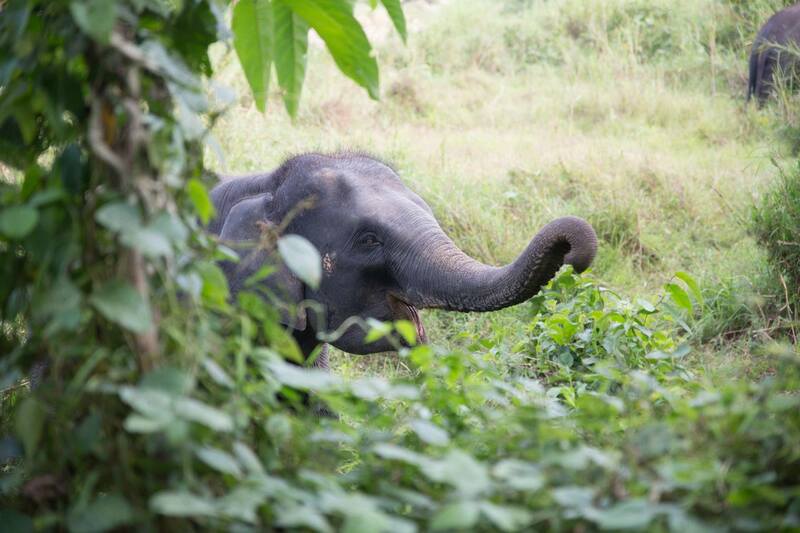 Your guide will explain the history and life of the Asian elephant as well as provide information about our Park. You will be shown how to approach and direct your elephant and we will tell you all about the experience, including an important safety briefing. 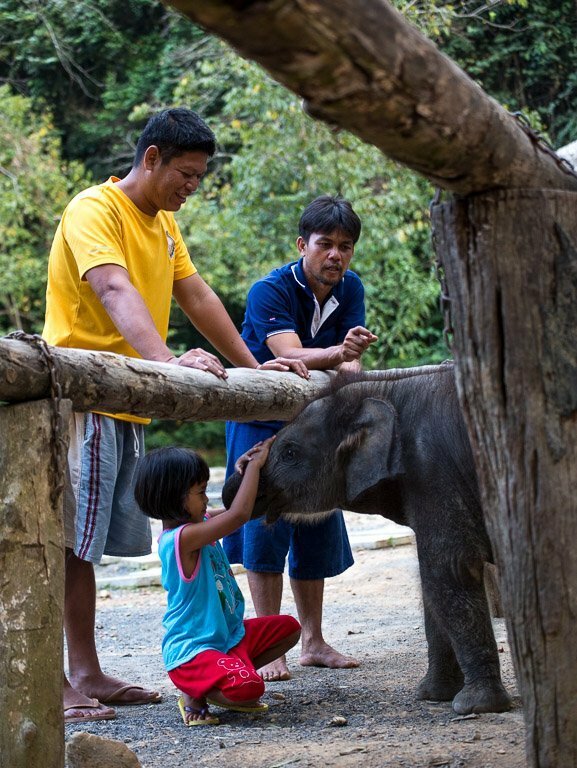 Next your family will watch a demonstration of an elephant health check and will gain an insight into the mahout’s daily routine. 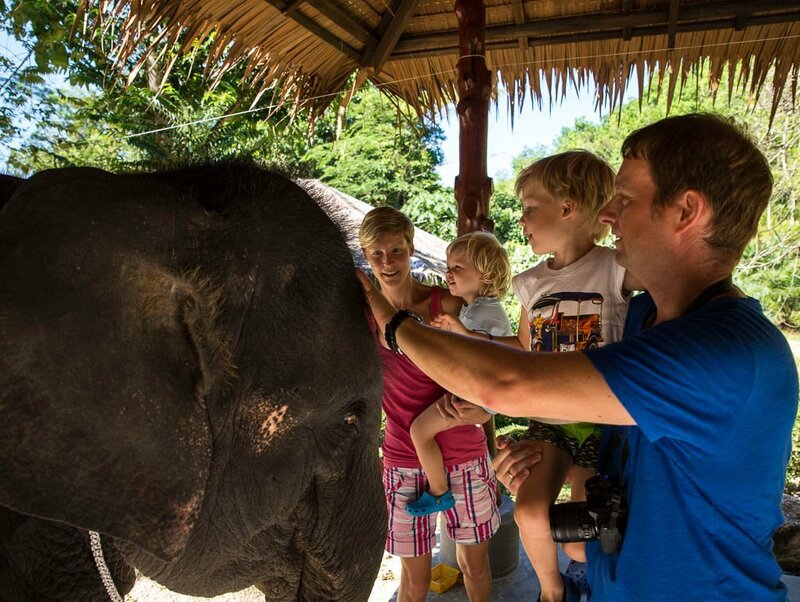 Your family will meet your very own elephant and interact with her, while feeding her bananas. We provide painting activities for the younger children as the adults enjoy more refreshments. Next you will all be able to have fun bathing with your elephant as you splash together and continue bonding with her. After you have all showered and changed, we will offer you a traditional Thai lunch, followed by fresh fruit and refreshments. Finally, you will have time to relax, take photos, visit our souvenir shop and Education Centre and you will end your experience by meeting our baby elephant. Camera, sun lotion, insect repellent, sunglasses, sun hat, waterproof clothing (depending on the forecast) and swimwear (for bathing with your elephant).